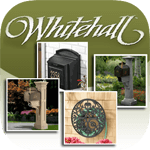 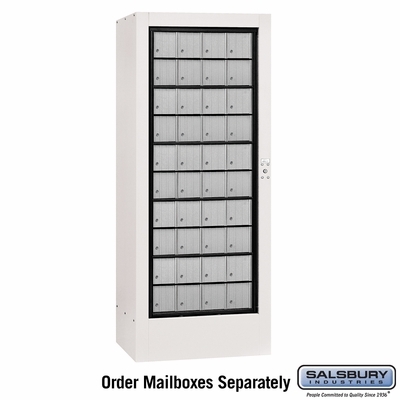 Made of 16 gauge steel, heavy duty 3100 series Rotary Mail Centers feature a vinyl finish available in five contemporary colors - Slate, White, Blue, Oak, Walnut. 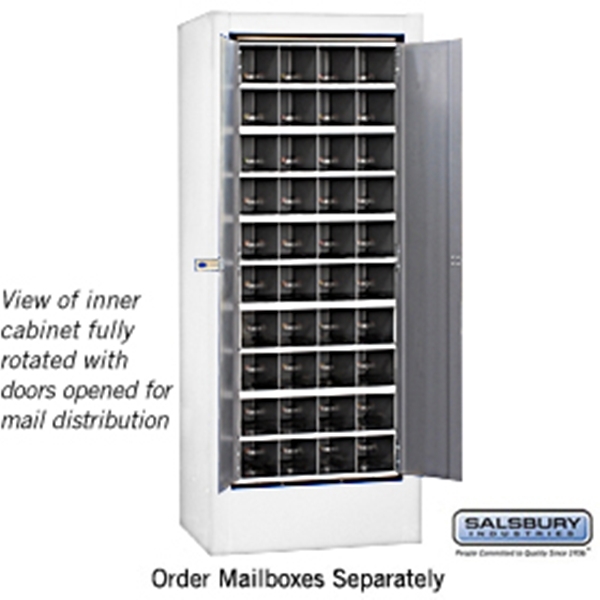 Aluminum style Rotary Mail Centers (#3100) are designed to accommodate a combination of five aluminum rack ladder system mailboxes and data distribution system boxes. 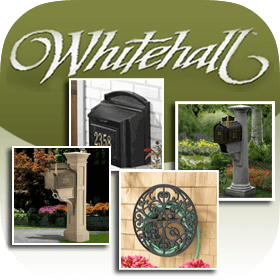 Brass style Rotary Mail Centers (#3150) are designed to accommodate a combination of two brass or Americana style rear loading mailbox units. 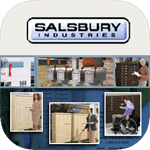 To operate, the user unlocks the unit and rotates the inner cabinet 180 degrees so that the rear of the mailboxes are facing the front. 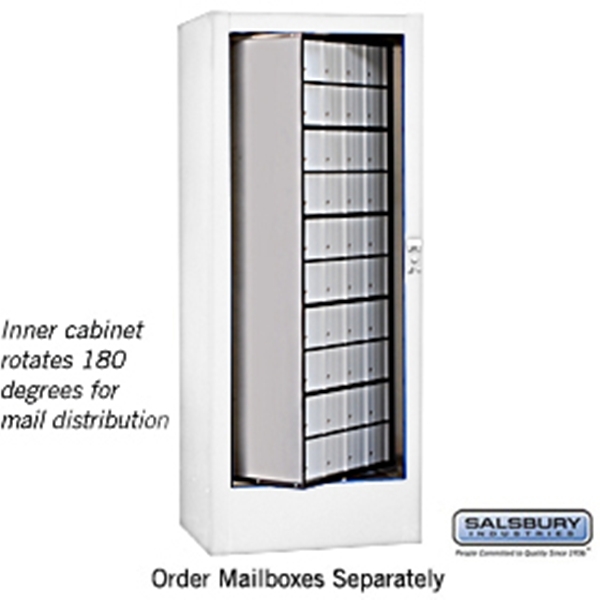 After distributing the mail, the inner cabinet is rotated back 180 degrees to the tenant access position. 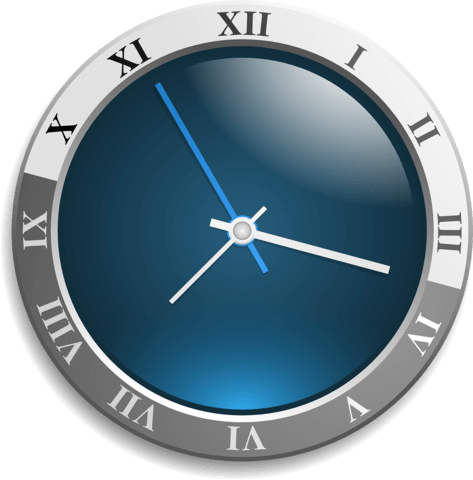 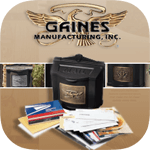 A matching rear cover (#3125) is available as an option upon request. 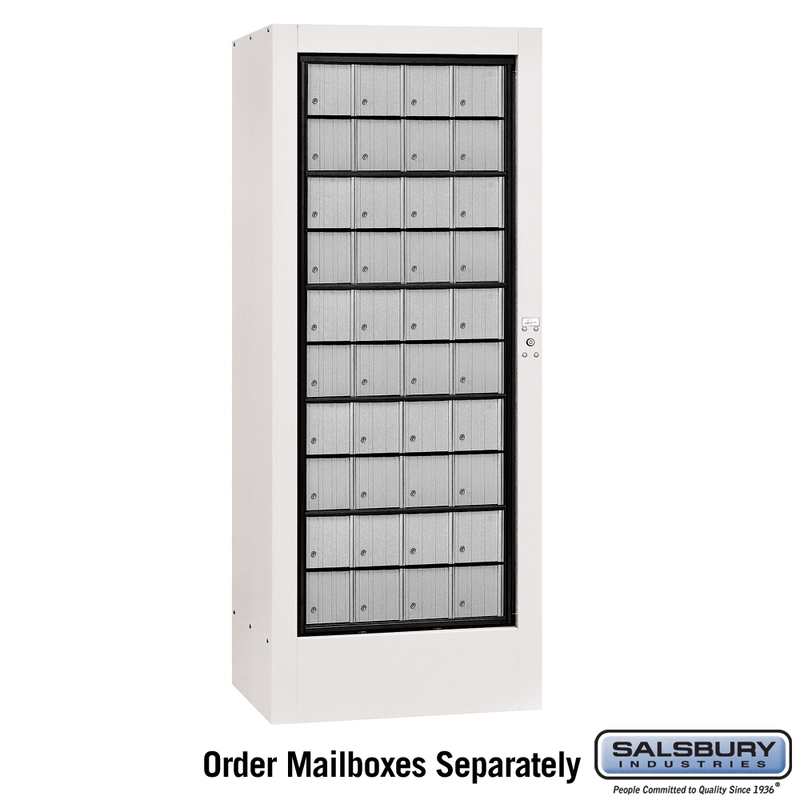 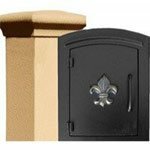 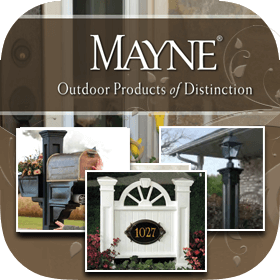 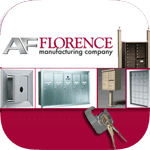 Rotary Mail Centers are ideal in locations where a secure and professional mailbox system is desired. 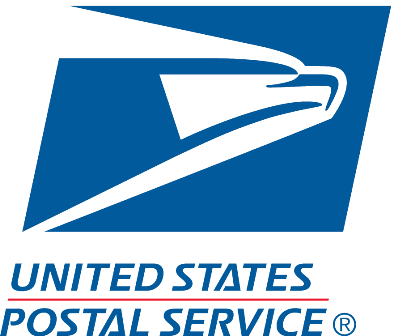 Note: Keyed versions of aluminum rack ladder system mailboxes and brass or Americana rear loading mailboxes can be accessed by the USPS when installed in Rotary Mail Centers. 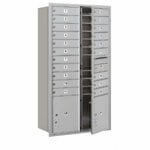 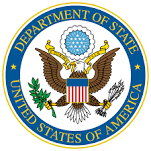 Data distribution system boxes with slots may not be serviced by the USPS when installed in Rotary Mail Centers.